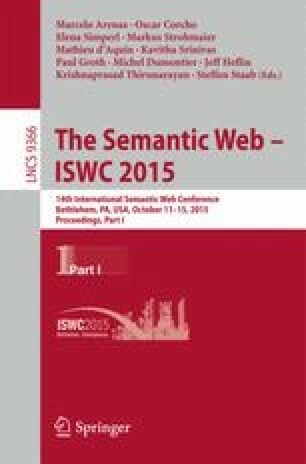 Semantic relatedness and disambiguation are fundamental problems for linking text documents to the Web of Data. There are many approaches dealing with both problems but most of them rely on word or concept distribution over Wikipedia. They are therefore not applicable to concepts that do not have a rich textual description. In this paper, we show that semantic relatedness can also be accurately computed by analysing only the graph structure of the knowledge base. In addition, we propose a joint approach to entity and word-sense disambiguation that makes use of graph-based relatedness. As opposed to the majority of state-of-the-art systems that target mainly named entities, we use our approach to disambiguate both entities and common nouns. In our experiments, we first validate our relatedness measure on multiple knowledge bases and ground truth datasets and show that it performs better than related state-of-the-art graph based measures. Afterwards, we evaluate the disambiguation algorithm and show that it also achieves superior disambiguation accuracy with respect to alternative state-of-the-art graph-based algorithms.